Okay, so not all profound quotes have a distinguished author, but they can still be profound. I saw this one on a T shirt on an attractive woman on the beach at the Dominican Republic and was glad I took the time to read it. For several reasons. Watching my wife’s efforts of working on her instrument pilot rating has been a prime example. This has been a year-long project that has been as hard as getting a PhD degree. Not only does one have to learn all matter of physics, meteorology, navigation, rules, regulations, the language of talking to controllers, higher mathematics, and interpreting charts, one also has to have the physical and mental skill to be able to put an airplane through its paces for a successful and safe flight. I saw her frustration when she began this project. She was totally overwhelmed by her abject ignorance of all of those elements, with self-doubt that she would ever be able to have the faintest understanding of any of it. But with an enormous conviction to study, understanding, and practice, her mastery of the project slowly began to develop. At times it has been very frustrating, but she has doggedly pursued her studies and flying, and her mastery of this project has been absolutely astounding. She is proof that nothing gets easier, but if we’re smart and resourceful, persistent and apply ourselves fully, we do get stronger – incredibly stronger – allowing us to prevail in our goals, whatever they be. 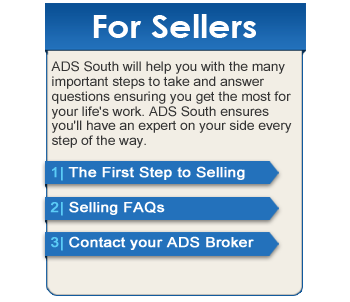 Since 1984, ADS South has served practice transition, apprasial, associateship services, pre-retirement transition support and expert testimony needs. ADS is known by its impeccable reputation as being fair, honest and effective in helping dentists plan and implement their transition strategies. Why Should I Give You an Exclusive Listing? We quickly received a full price offer for the practice. Shortly afterward, we got a call from the buyer telling us that he had seen the practice advertised by the other broker at a $100,000 lower price. So he lowered his offer by $100,000 since the practice was being advertised at that lower price. Why was the other broker listing the practice for $100,000 less? The reason is that the practice was a newly-started practice, and it experienced very rapid growth in the early years. The other broker had valued the practice several years earlier and had not updated the practice financials in several years. So while the numbers were appropriate when it was first listed, they were seriously out of sync with the current practice revenues. This seller’s experience of dealing with multiple brokers points out how expensive an open listing can be, especially if one of them does not do biannual updates and provide current financials. As one broker put it, “We all fish out of the same pond,” which questions the benefit of open listings. Brokers all talk to the same prospects, so the expectation that more brokers mean more prospects is without merit. Serious brokers market extensively through websites, contacts, referrals, etc. 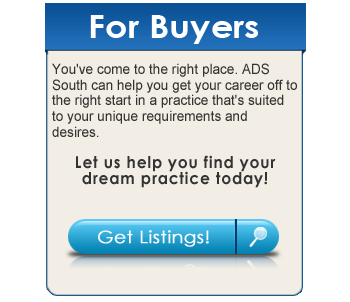 to develop purchaser prospects, and purchasers have no problem finding all brokers who might have a practice for sale. Most brokers are already in contact with nearly every prospect. The problems with an open listing begin when a prospect hears about a practice three or more different ways from three or more different brokers. It’s doubtful that any two of those listings even sound as if they are about the same practice. The results of three people trying to sell a practice to a single candidate are disastrous, and what could have been a well-managed sale by a single, competent broker can quickly disintegrate into chaos, and frequently a lost sale. Consider also that when sellers are not committed to brokers, brokers will not be committed to them either. So these sellers will be at the bottom of several brokers’ lists rather than at the top of any one broker’s list. A seller with an exclusive listing should expect commitment from his or her broker, and if that broker does not make a committed best effort, there should be provisions for termination. When a sale finally does take place, a seller may face another serious dilemma. Remember, “We all fish out of the same pond,” so a seller may be told by two or three brokers that they were the one to identify a buyer and they should receive the commission. It is not unheard of that lawsuits and all manner of legal actions arise from what should have been a happy closing. Open listings are even worse for brokers, who put in their time, talent, and money, only to end up helping the seller close a sale of his own doing. After all, sellers have the broker’s commission to bargain with. This leaves us with the question: What is the best approach for listing a practice for sale? When sellers ask about having an open listing and engage every broker out there to try to sell their practice, I share issues discussed here with them. I tell them they will be better off with one mutually committed broker relationship, even if it isn’t with me. My best suggestion is that they exclusively list with a broker who has a network of resources that includes other brokers, and that the broker is willing to pay a fee to any referrers who provide a buyer. This provides the benefit of exposure to multiple brokers and still maintains a unity of effort, which leads to the absolute best selling experience. Osteoporosis isn’t a new discovery, or a disease unheard of by many. That being said, many people don’t realize how closely tied to your oral health it can actually be. In short, osteoporosis is caused by an insufficient consumption of calcium and vitamin D. It affects the bones, making them less dense and thus more likely to break. Osteoporosis is directly tied to your long-term dental health as this weakening of the bones may heavily compromise the jaw bone. A weakened jawbone can have a host of detrimental consequences for your teeth, including increased tooth mobility, or complete tooth loss. The best cure for the degradation of the jawbone is avoiding it all together with a balanced diet high in vitamin D and calcium, and getting a sufficient amount of exercise. Barring that, be sure to attend your dental appointments regularly so that way the structure and health of your mouth can be monitored, and any problems that may develop are addressed immediately and not permitted to deteriorate. As it is, due to hormone imbalances and changes over life, women are most at risk to developing osteoporosis, but it can absolutely develop in either gender depending on a host of lifestyle variables, not limited to diet and exercise. Symptoms to pay attention to that may be indicative of osteoporosis affecting the jaw include: pain and/or swelling in the gums or jaw, as well as infection; injured gums not healing in a timely fashion; teeth that become loose for no reason or after only minor strain; numbness or discomfort in the jaw; or at worst, exposed bone. If you experience any of these symptoms, don’t hesitate contacting your dentist to prevent exacerbating the issue. Did you know that poor oral health care can be the cause of many different health issues within your body itself? There are many connections between taking care of your mouth, teeth and gums and the rest of your body. People with gum disease have a 40% increased risk of developing a chronic health condition. Bacterial build up on your teeth and gums give you a greater probability of infection which may then spread throughout other areas of your body. Diabetes: causes oral inflammation and affects the body’s ability to process sugar. Heart Disease: about 91% of those with heart disease are also found to have periodontitis. Inflammation in the mouth corresponds with the inflammation of blood vessels which then leads to less blood flow causing an increase in blood pressure. There is also a chance of plaque that is attached to the blood vessel itself, breaking off and traveling to the heart and/or brain resulting in a heart attack or stroke. Issues during Pregnancy: pregnant women with gum disease run the risk of premature birth, low birth weight, and susceptible to developmental issues such as learning disorders, lung and heart conditions. Osteoporosis: osteoporosis, like periodontitis, causes bone loss. It’s common for those with osteoporosis to also have some degree of gum disease. Rheumatoid Arthritis: those with rheumatoid arthritis battling gum disease have found gum disease treatment may also reduce overall body pain in regards to their arthritic symptoms. Smoking: bad for your health, both overall and oral. Nicotine interferes with your gums’ ability to fight infection. This also extends the recovery period for those gum infection treatments. Obesity: those with 20% or higher body fat percentage have been linked to rapid progression of gum disease. Taking excellent care of your oral health has a positive domino effect for the rest of your body. Same can be said with your body – taking care of your health and body can positively affect your mouth, teeth and gums. If you care about your health and yourself, you in-turn need to care about your mouth. Be true to your teeth, or they will be false to you! Back in 2002 our firm encountered three dentists within a one year period who experienced the same event – death. Dr. A called our office, saying that he was going into the hospital for tests and needed a dentist to cover his practice, which we provided. I visited him at the hospital and his condition was so serious that he and his wife decided to sell his practice. I was given a key to the office and with the help of a dentist who was familiar with the practice’s software, I was able to quickly gather all of the information required to perform an appraisal and prepare a marketing package. The next day I contacted a prospect from our database, showed the practice to him and went over the practice figures and other information he requested. After several hours of inspection and study, he made a full price offer. The following day Dr. A died. During the following week, sale contracts were distributed and reviewed and a lease for the office and financing were obtained. The sale closed ten days later with the widow receiving the full price in cash. Dr. B was exercising when he suddenly died. Our firm had coincidentally performed an appraisal of his practice six months earlier. Upon his death, his accountant and widow contacted our firm to sell the practice. Our first step was to provide a dentist to provide continued care for patients of the practice. With a current appraisal and marketing material in hand, we contacted a prospect from our database who quickly made an offer of 94% of the appraised price. Dr. B’s widow was paid in full in cash three weeks later. If you’re looking to sell your dental practice, marketing with a professional gets it done faster! Dr. C died in his office of a sudden heart attack. The family attorney commissioned us to perform an appraisal of the practice but elected to try sell the practice himself. After four months of no activity the attorney contracted us to sell the practice. The attorney failed to place a dentist in the practice to provide continuing patient care. The doors of the practice were essentially shut for four months, during which time practice value, as well as interest in the practice, had dropped precipitously. We immediately placed a locum tenens dentist in the practice to try to revive patient activity, which was minimal. Finally, five months after the owner’s death, a purchaser was found. The practice sold for one third of its originally appraised value. Dr. A and Dr. B’s practice sales were as successful as if they had not suddenly died. Dr. C’s outcome was much less successful. There are several factors in post-death practice sale success. The first is the use of a locum tenens dentist to continue the practice operation. Keeping the practice active is vital in preserving value and marketability. Many patients are lost when a practice is closed or when well-meaning nearby dentists cover the practice. Another factor for success is enlisting a professional practice broker, even though the family may already have interested prospects. Expertise and experience are critical in marketing, prospecting, qualifying, financing and selling a practice. Having prospects to immediately contact for a sale is invaluable. However, without complete and current practice data, even the best practice broker will be ineffective. Dentists rarely assemble this information during their lifetime. The task invariably falls on a grieving spouse who does not know what to look for, where to look, or who to call. The lack of complete practice information and a professional approach to marketing the practice may easily result in losses of hundreds of thousands of dollars. The process of gathering practice information and pre-planning the practice sale process is practically impossible for a spouse, especially when the spouse is not involved in the practice. However, the process is relatively quick and easy for a dentist. Wise dentists will make this small investment of time and effort to ensure the best practice value and success for their family, patients and staff. A free appraisal kit can be downloaded from our website. Earl M. Douglas, DDS, MBA is the founding president of American Dental Sales. He is president of Professional Practice Consultants, Ltd. and personally serves the Southeast with affiliates nationwide. 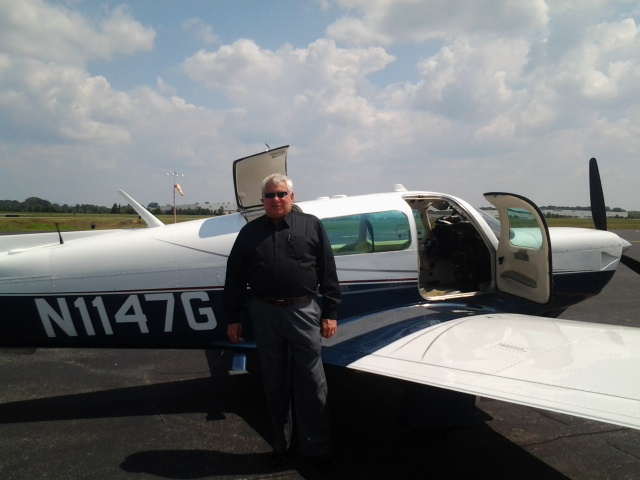 He can be reached at 770-664-1982 or visit our website. Earl M. Douglas, DDS, MBA, BVAL. At ADS we value our clients and respect their time. That’s why Earl can be anywhere within our service areas in as little as two hours. Dr. Douglas can present any of the following topics in as little as one hour and up to six hours. Most topics also include essential information on how to be able to financially be successful in retirement. Besides being one of the most experienced transition experts and speakers in his field, Earl M. Douglas, DDS, MBA, BVAL, is the founder of ADS South, a dental practice appraisal and brokering company serving the Southeast. He is the founding president of ADS, a national organization of dental practice appraisers and brokers. Dr. Douglas earned his Doctor of Dental Surgery degree from the Baltimore College of Dental Surgery, University of Maryland School of Dentistry in 1971. He practiced in the U.S. Army Dental Corps at Fort Benning, Georgia from 1971 to 1974 and in Stuttgart, Germany from 1974 to 1977 and was in private practice in Atlanta, Georgia from 1978 through 1982. After the sale of his private practice in 1982, he began his career in practice transition consulting. He received his Master in Business Administration degree from Brenau College in 1984 and founded Professional Practice Consultants, Ltd. in the same year. Dr. Douglas is the author of cash flow analysis software used by professional brokers and lenders. Dr. Douglas is a member and contributor of the Practice Valuation Study Group and a member of The Institute of Business Appraisers and was awarded the BVAL designation (Business Valuator Accredited in Litigation) in 2007. Dr. Douglas has been admitted as an expert witness before courts in Alabama, Arkansas, Georgia, North Carolina, and Tennessee. Dr. Douglas has presented at many dental schools in the Southeast and to various dental study clubs, the Hinman Dental Convention, the Tennessee Dental Association, the National Dental Association, the New Orleans Dental Association, the Rossner Memorial Lecture in New Orleans and a two year series of presentations for Dental Economics. He has presented for several years to the National Society of Certified Healthcare Business Consultants. Dr. Douglas is also a contributing author for Dental Economics magazine.